Welcome to Gron Digital's rewards programme GRO+NET. You can earn rewards for referring your family, colleagues, clients, friends, communities and social network to our trusted Gron Digital platform. 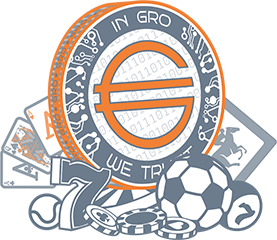 Gron Digital has created a trusted ecosystem for the gambling and betting market place. Find everything you need to promote the Gron Digital website in the "Creatives" section of the Dashboard. Personalised trackable links and high converting banners for your blog, social networks, email signature, newsletters or virtually anywhere else where you can place the link. You can track the progress in the "Statistics" section, as our records and your earnings are updated in real-time. In "All time statistics" section your earned GRO balance is displayed.